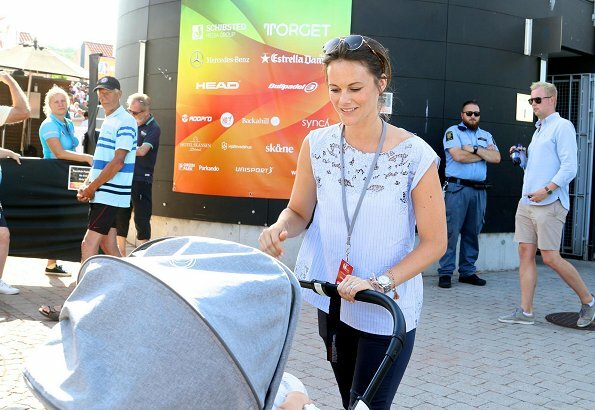 Just like every year, Prince Carl Philip and Princess Sofia are spending some time in Båstad in the summer months and on Friday, they were seen in Bastad Pepe's Bodega Club located on the western coast of Sweden together with their children. It is said that Prince Carl Philip and Princess Sofia met there in 2009. Actually they were attending the Swedish Padel Open, Carl Philip awarded medals to the winners. Those photos were from Sunday. They were at the Swedish padel open. 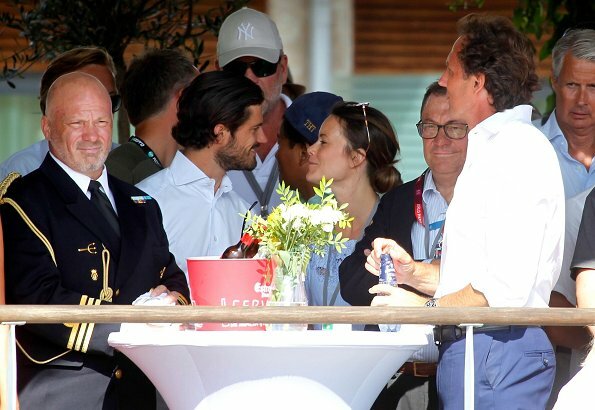 Carl Philip was there to present trophies to the winners. Nice to see the little Family again,Sofia's top is nice and right for summer.Sadly we only see Gabriel's back would be nice to see his cute Face. In a month hopefully we get more photos on the occasion of his 1st birthday. How beautiful Sofia is without makeup. Agree. She is a mom of natural beauty! Sofia is very natural and beautiful, and she has 2 adorable children, very cute and smiley. Carl Philip can be proud of her. This Bastad must be a nice little Town the Royals seem to like it there.Sofia looks good with or with out makeup.Just sad we didn't see both little boy's I do like this top.